Monday morning I awoke at a Clarion Hotel in Eureka, California. 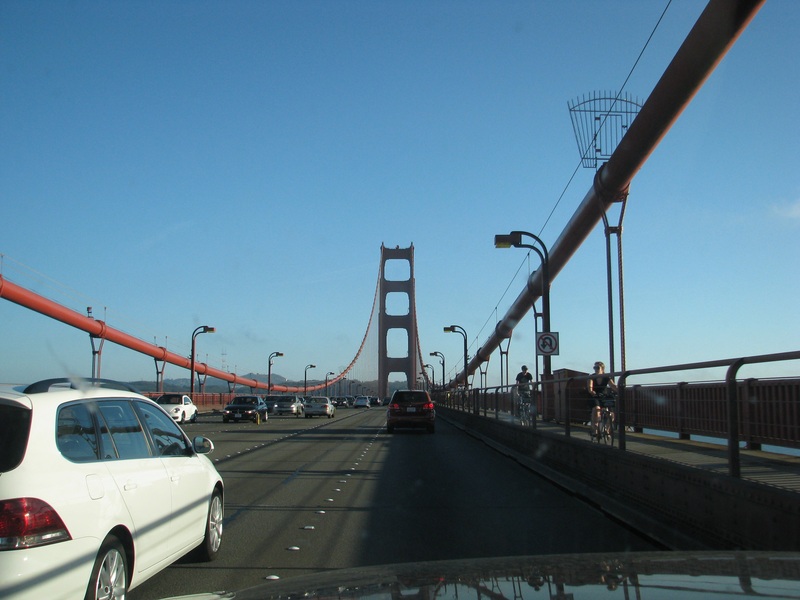 It was day forty-nine on this Great American Road Trip and I would reach the Golden Gate Bridge! 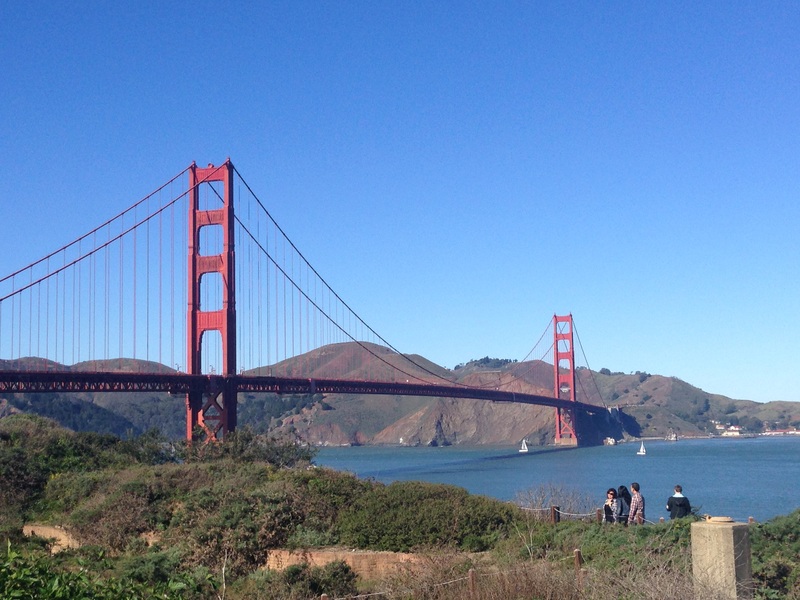 What a coincidence… Day 49 of my trip and I’m in the land of the 49er’s! 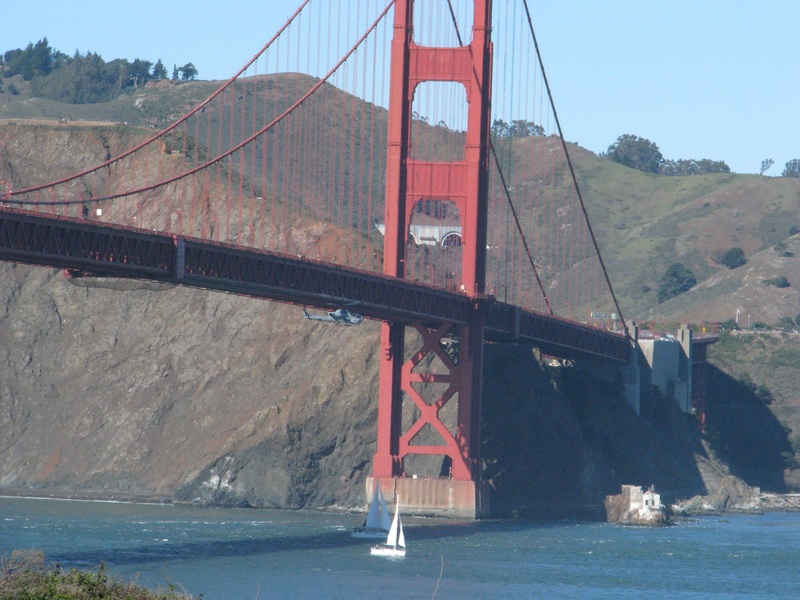 I’ve been to the city of San Francisco a few times before and I will again while I’m living here on the west coast so on this day I just visited Golden Gate State Park and saved the “city blog” for a future date. Hawk Hill behind the bridge. 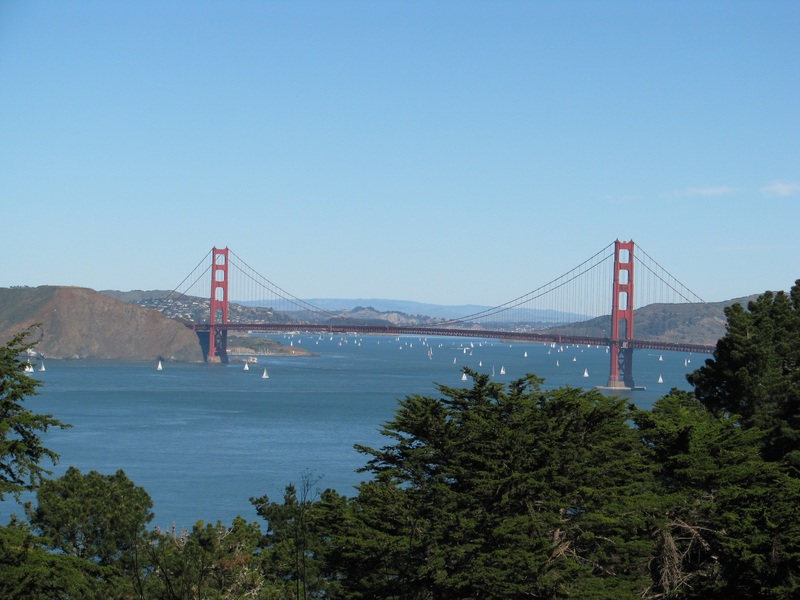 The parking in Golden Gate National Recreation Area, which is across the strait from San Francisco, is limited and always a challenge, patience is required but, with persistence, you’ll be rewarded with a panoramic view from 923 feet atop Hawk Hill. In the distance you can distinguish the island prison of Alcatraz, the Bay Bridge that reaches across to Oakland, the unique architecture of the Transamerica Tower, the Presidio and the bustling waterfront. 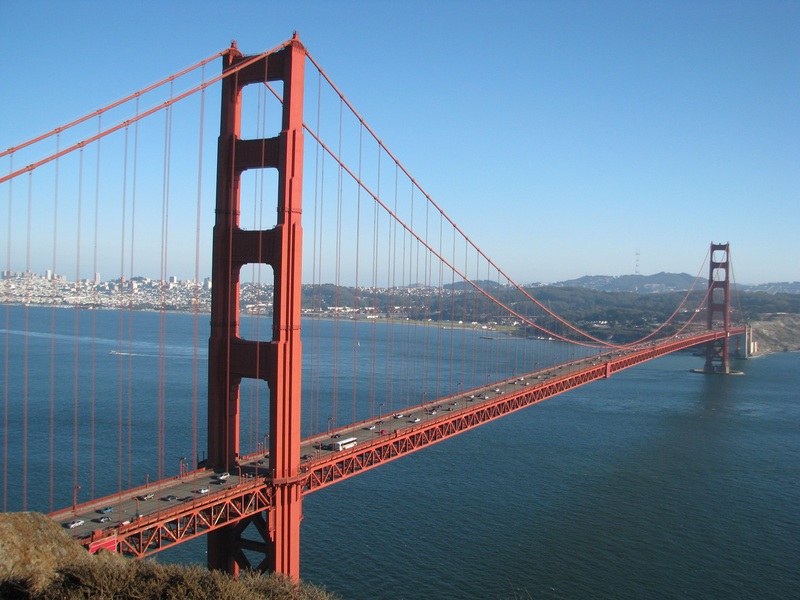 In the forefront is, obviously, the Golden Gate Bridge, which was recently voted as one of the Seven Wonders of the World. There was a guy up on Hawk Hill with a drone, which is illegal in state parks, or so he thought. He probably got some awesome video from up there…until the ranger arrived and he put the drone away. I hope you have the courage to cross the bridge to your dreams. Nice sunny day for such great views Bill. Enjoying your blog. Thank you. It was a beautiful day. Sailboats were everywhere.